WASHINGTON COUNTY – Law enforcement veteran and Washington County Commission candidate Chet Hughes is bringing his homegrown pride and understanding of the community to the forefront in his bid for public office. 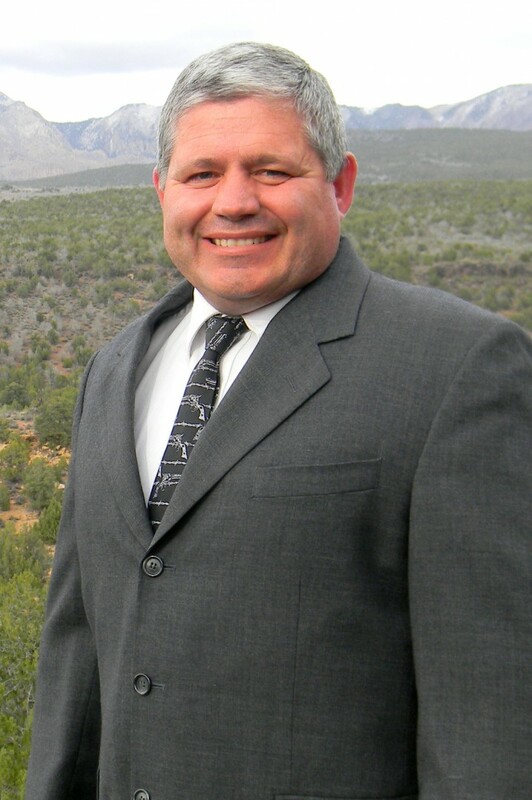 Hughes is running for Commission Seat B against fellow Republicans Victor Iverson, who recently resigned as natural resource advisor to Sen. Mike Lee, and former St. George Mayor Dan McArthur. Ex-Utah Attorney General Paul Van Dam is the only Democratic candidate. The incumbent, Denny Drake, did not file for re-election. A Dixie native who’s been with the Washington County Sheriff’s Office for 22 years, Hughes knows and loves the community he has spent most of his life serving. His knowledge of its people and the issues that matter to them, he said, makes him the right man for the job. Hughes said that he is unique as a candidate because of his concern for the county’s smaller municipalities. He identified population growth and the need to find a solution for the area’s water shortage as issues important to him and his neighbors. The role of the Washington County Commission is weighty; responsibilities include the county budget, property taxes, public lands, the Washington County HCP/Red Cliffs Desert Reserve, the library system, public health, the county attorney’s office, road projects and working with municipalities, and state and federal agencies including the Five County Association of Governments, the BLM and the U.S. Forest Service. Commissioner Alan Gardner said the ideal candidate is a thorough thinker and calculated decision maker who can communicate effectively with the public and deal with issues as they arise. A background in business or public lands might be especially beneficial. The main areas of concern for county officials and voters this election season, Gardner said, are keeping taxes low and exploring the impacts of the Utah Transfer of Public Lands Act at the local level. Hughes said that the transfer can be a good thing for Utah if counties can afford sufficient management of the lands; he is extremely conservative budget-wise, and Washington County citizens can count on him to “watch out” for their tax dollars. “I think I could make good decisions for the county,” he said. Hughes is a graduate of the former Dixie State College of Utah and Weber State University, where he studied criminal justice and sociology. After completing the Utah Peace Officer Standards and Training, he took a job with the Sheriff’s Office and was promoted to sergeant seven years later. He is married with three children, and lives in St. George. Hughes and his opponents will seek a nomination to represent the GOP in the upcoming general election during the Washington County Republican Party Convention on Saturday. Each candidate will have the opportunity to present their case to a gathering of some 400 delegates from local neighborhoods. The convention will be held at 8 a.m. in the Gardner Center Ballroom on the DSU campus. Visit the party’s website for more information. Commission Seat A is also up for re-election this year. Incumbent James Eardley, Greg Aldred, Zachary Renstrom, Slade Hughes and Mark Boyer are all seeking the Republican nomination to run against Democrat Chris White. Gardner occupies seat C, and his term doesn’t expire until 2016. The 2014 general election will be held on Nov. 4. Find a complete list of Washington County candidates here.